Tree Pitts­burgh is seek­ing appli­ca­tions for a Com­mu­ni­ty Forester. The Com­mu­ni­ty Forester con­ducts out­reach to com­mu­ni­ties and large land man­agers in Alleghe­ny Coun­ty and offers assis­tance in tree plant­i­ng, tree ordi­nances, and tech­ni­cal assis­tance by encour­ag­ing sci­en­tif­i­cal­ly-based urban for­est man­age­ment tech­niques and actions. They advo­cate for the many val­ues of trees in the urban envi­ron­ment and encour­age and par­tic­i­pate in part­ner­ships among pub­lic and pri­vate inter­ests that pro­tect, con­serve, and nur­ture trees in the urban envi­ron­ment and encour­age and par­tic­i­pate in part­ner­ships among pub­lic and pri­vate inter­ests that pro­tect, con­serve, and nur­ture trees in their com­mu­ni­ties. You can read more about the posi­tion in the Com­mu­ni­ty Forester job descrip­tion. The dead­line to apply for this posi­tion is June 3, 2019 at 4:00 p.m. EDT. Appli­ca­tions must be able to start July 8, 2019. One-page cov­er let­ter in PDF form or hard copy. The elec­tron­ic file name should include your first name, last name, and the words “cov­er let­ter” (eg: Dawn Red­wood Cov­er Let­ter). One-to-two-page resumé in PDF form or hard copy. The elec­tron­ic file name should include your first name, last name, and the word “resumé” (eg: Dawn Red­wood Resumé). 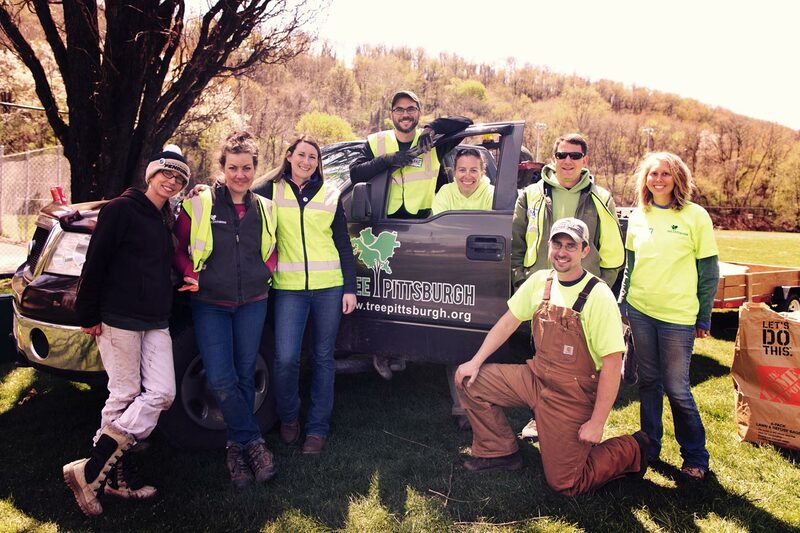 Email to info@treepittsburgh.org. You must include your last name and Com­mu­ni­ty Forester in the sub­ject line (eg: Red­wood Com­mu­ni­ty Forester).